Reliance JioPhone, India’s first 4G-enabled feature phone, is all set to receive the Facebook app officially on February 14. The app has been designed from scratch to work on KaiOS, the default operating system that comes loaded with the Reliance JioPhone. "We are excited about our partnership with Jio and the opportunity to provide the best possible Facebook experience for millions of people using JioPhone. Working with partners like Jio, we want to make sure everyone, everywhere has the opportunity to enjoy the benefits of being connected," said Francisco Varela, vice-president of Mobile Partnerships, Facebook. 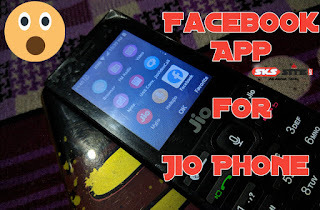 From today, the existing and new customers of JioPhone could download the Facebook app from JioAppStore. The app supports timeline view, push notifications and video playback capabilities. For a non-touch device, the Facebook app on JioPhone supports cursor function to access News Feed and photos. "JioPhone is the world's most affordable smartphone built with transformational technology especially for Indians to migrate from a feature phone to a smartphone. As promised, JioPhone will be home to the world's leading applications, starting with Facebook. Jio, the world's largest mobile data network, is built to empower every Indian with the power of data and JioPhone is an integral part of this Jio movement," said Akash Ambani, director, Reliance Jio.